To develop opportunities that inspire the global community of learners to utilize diverse approaches in applying 21st century skills (Creativity, Collaboration, Communications, and Critical Thinking). The Destination Imagination program is a fun, hands-on system of learning that fosters students’ creativity, courage and curiosity through open-ended academic Challenges in the fields of STEM (science, technology, engineering and mathematics), fine arts and social entrepreneurship/service learning. Our participants learn patience, flexibility, persistence, ethics, respect for others and their ideas, and the collaborative problem solving process. Teams may showcase their solutions at a tournament. From the U.S. to Qatar, DI teams across the globe are learning the skills needed to thrive in the future workforce and are working hard to make the world a better place. Check out some of their innovative Challenge solutions. For their Project Outreach Challenge, team Unidragons, from Monterrey, Mexico, chose to address verbal bullying in their school. Through memes, they created clever and powerful anti-bullying messages, such as “I am unique, not different,” designed to get students to think differently and prevent them from bullying other students in their school. In addition, the team created a website for their anti-bullying project and set up a classroom activity called “Smart Words,” where students were asked to come up with respectful, non-aggressive responses to help diffuse a bullying incident. More than 20 classrooms participated in the activity and nearly 200 new ideas were submitted. Last fall, the Crew DI team heard about refugees in the news and learned that they lived near the fifth largest refugee city in the nation, Lakewood, Ohio. The Crew contacted Lakewood Schools to find out how they could help the large refugee population, especially the kids. They learned that many of the refugee students receive free breakfasts and lunches, but worried that the kids wouldn’t have food to eat over the two-week winter holiday break and decided to raise money to help those students and their families. The Crew raised more than $700 through a fundraiser and delivered the money and donated fruit baskets to local refugee families from Burma and Iraq. For their Engineering Challenge, team Bedouins with a Beat, from Saudi Arabia, had to design and build a structure that could support as much weigh as possible and was a musical instrument. The team created a ukulele, which was used to perform a musical solo during their presentation. The all-girl Engineering team was the first team from Saudi Arabia to compete at Global Finals. Many of our alumni credit DI for success in school, careers and beyond. Michael Bridgman is the co-founder and CTO of MajorMega, an interactive studio specializing in experiential marketing. Since launching MajorMega, Michael has created 3-D behind-the-scenes experiences for Justin Timberlake, organized contests for Michael Jackson, and designed video games for Katy Perry. One of Michael’s most recent projects for National Geographic involved integrating virtual reality (VR) into a NASA anti-gravity treadmill to simulate a walk on Mars’ surface, and integrating VR into the world’s first "cable coaster" to simulate landing on Mars. Outside of MajorMega, Michael mentors at-risk high school students and strives to teach them how the traditional knowledge they learn in school – like math and science – can be translated to a fun, “cool” future they may not have realized. This led Michael to launch Consoles for Kids, a nonprofit that collects used gaming consoles and distributes them to low-income families. Alex Hsu is a software engineer who holds both a Bachelor’s and Master’s Degree in Electrical Engineering and Computer Science from MIT. While at MIT, Alex traveled to Taiwan to present a software program that she helped develop, and spent two summers as an intern with DreamWorks Animation in California, where she created proprietary software. Alex is currently a software engineer for GameChanger Media. GameChanger created a mobile app that allows youth sports coaches to keep scores and statistics digitally. Alex is one of only two female engineers at GameChanger, and to help improve the workplace for women, GameChanger sent her to a conference on Women in Tech Companies. Following the conference, Alex led the dialogue about creating effective communication – for both men and women. In 2015, Yale Shaw, won an international award for his design of a life-saving epinephrine auto-injector. In addition to creating a smaller, sleeker design to help eliminate social stigma, his innovative device can trigger its smartphone-integrated application to notify 911 emergency services of the user's exact location, allergy susceptibility, and personal information. In 2016, Yale earned his master’s degree in industrial and product design at the Academy of Art University in San Francisco, California. We cannot fulfill our mission without the generosity of the world’s most innovative companies. NASA has been a longtime collaborator with Destination Imagination, inspiring the next generation of innovators who are right here at DI. For Global Finals 2016, NASA created an exhibit designed around the theme of survival on Mars. Expanding on the movie “The Martian,” students had the opportunity to explore six different interactive stations to complete challenges, including creating water on Mars, growing food and communicating with Earth. Students also had the opportunity to participate in a Q&A with former astronaut, Dottie Metcalf-Lindenburger. In February 2016, DI collaborated with Oracle Academy on the Dear Hero challenge to get more students interested in computer science. Using Oracle Academy’s Alice 3 software, students learned the basics of computer programming to create a thank-you message for a personal hero. The winning team of students from California was invited to Global Finals 2016 to present their video to more than 16,000 attendees. In addition to the challenge, Oracle Academy hosted eight computer science skills workshops for participants. At Global Finals 2016, Ford partnered with Destination Imagination on Try DI: Build Your Ford of the Future, a public event designed to foster STEAM-based learning and challenge families to rethink the future of driving. More than 300 students and parents participated in the event, using their creative thinking skills to build a prototype of their Ford of the Future idea. Students then had the opportunity present their idea to a panel of Ford Innovation Experts. In addition to the Try DI event, Ford hosted the Escape the Garage exhibit at the Global Finals Innovation Expo. Teams had to find clues, solve puzzles and race against the clock to Escape the Garage, designed and hosted by Ford. DI collaborates on special projects and events year-round to foster creative learning around the globe. In July 2016, more than 300 educators and Destination Imagination volunteers from around the world gathered at the U.S. Space & Rocket Center© in Huntsville, Alabama for DI’s Ignite Innovative Education Summit. Over the four-day event, attendees had the opportunity to hear from notable keynote speakers, including XPRIZE co-founder, Gregg Maryniak, participate in educational workshops, network and grow their skill sets. In February 2016, Destination Imagination Qatar hosted the third annual International Invitational in Doha, Qatar. Twelve international DI teams from the United States, Turkey, Poland, Saudi Arabia, Morocco, Jordan and the United Arab Emirates attended to participate in a 24-hour Extreme Challenge. For the Extreme Challenge, teams were given a set of materials and had 24 hours to research, plan, design and build a model of a creativity and innovation center that was inspired by Qatari architecture and could withstand the winds of a simulated sandstorm.  This past year, Destination Imagination formed a research consortium with the National Girls Collaborative (NGC), the National Alliance for Partnerships in Equity (NAPE) and the Educational Research Center of America (ERCA). The consortium collaborated on a research project to help students, families, teachers and guidance counselors better understand students’ perspectives on STEM careers, as well as to identify opportunities, challenges, and promising practices for leveraging equity to meet STEM workforce needs. This past year, DI partnered with SockKids on an anti-bullying book for children. 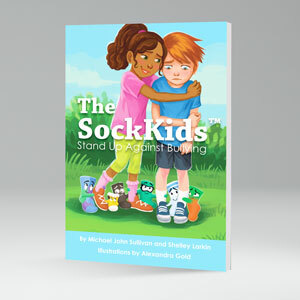 “The SockKids Stand Up Against Bullying,” which was released in May 2016, was written by authors Michael John Sullivan and Shelley Larkin. The story follows Ethan, a Destination Imagination team member, and Olivia, a new girl at his school, who discover that bullying hurts everyone and staying silent is not an option. The book also includes a quiz for parents and adults, guidelines on how to handle bullies, and a foreword by DI CEO, Dr. Chuck Cadle. Click here to purchase the book through our shop. 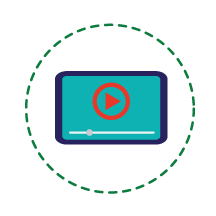 In November 2015, DI launched a video contest to see just how creative, curious and courageous kids can be. Our organization received nearly 200 submissions from kids and teens around the world. Three lucky students were awarded $1,500 for their winning submissions and received a free pass to participate in Global Finals 2016. New resources enhanced customer and participant experiences in 2016. In June 2016, DI released its first-ever Instant Challenge app, available for iOS and Android devices. The Instant Challenge Shaker app provides hundreds of short STEAM-based activities that allow students to use their imagination, teamwork skills and a few everyday materials to see how innovative they can be. Click here to download Instant Challenge Shaker on your Apple device. For Android devices, click here. To find this app and others from DI, search “Destination Imagination” in your device’s app store. In April 2016, DI launched its new, mobile-optimized website, which adapts to any device. From finding tournament dates to viewing team resources to reading the blog, the new website has a streamlined navigation and was designed to improve the experience for customers. For the 2015-16 Team Challenge season, DI created a promotional video to complement the release of the Team Challenges.  The video featured DI participants and was designed to inspire young people to engage their innate curiosity while learning about science, engineering, automotive design, theatrical techniques, social entrepreneurship and more. More than 17,000 people gathered in Knoxville, Tennessee to attend the world’s largest celebration of creativity. At Global Finals, participants enjoyed an evening of food, fun and dancing at the first-ever Evening Under the Stars event. The event included an exclusive performance by world-renowned percussive dance group, Step Afrika!, as well as a Battle of the DJs. At every Global Finals, high school and college students who couldn't walk in their own graduation ceremony are treated to a special ceremony. At this year’s ceremony, DI’s 2016 Valedictorian, Zayna Pieper, challenged students to live life without limits and without restricting their creativity in all aspects of life. Graduating seniors also received inspirational advice from Dr. Roosevelt Johnson, NASA’s deputy associate administrator for education. There’s a reason why it’s called Global Finals. At the International Block Party, students and families had the opportunity to immerse themselves in different cultures, enjoying sights, sounds and tastes from around the world. Destination Imagination provided 39 different skills workshops for participants and attendees at Global Finals 2016. The workshops ranged in topic from the arts to STEM to sessions dedicated solely to educator development. Students at Global Finals 2016 had the opportunity to participate in a step workshop with world-renowned group, Step Afrika! 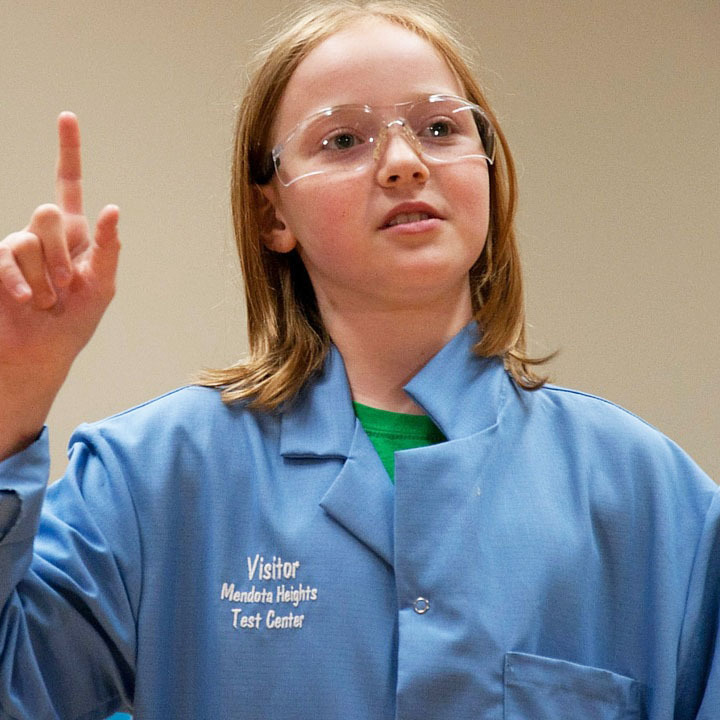 At Global Finals, students have the opportunity to learn from industry experts in one-of-a-kind Skills Workshops. In the Sing Song Sing workshop, students worked with Tony award-winning actor, Levi Kreiss, on improving their singing and performance techniques. Award-winning Broadway choreographer and workshop host, Jared Grimes, discusses how hip hop dance is not just fun, but how it can help kids open up and build their confidence. The Innovation Expo at Global Finals gives participants the opportunity to engage with leading organizations in the technology, engineering, science, arts and education industries. This year, Global Finals attendees had the opportunity to participate in 31 exhibits hosted by some of the world’s most innovative companies including NASA, the U.S. Space & Rocket Center, Ford, Oracle Academy, Microsoft and Vizitech. Destination Imagination’s online community is more than 43,000 strong and continues to grow year after year. We published 162 new blog posts this year. Topics included early learning, creativity in the classroom, special announcements, and tips for teams and Team Managers. From students to sponsors, thousands took to social media to showcase their experience at Global Finals 2016—the world’s largest celebration of creativity. Thank you to our Affiliate Directors, Board of Trustees and staff whose commitment and actions help to provide a better education for all children. Thanks to our dedicated Affiliate Directors, more than 150,000 students have access to life-changing Destination Imagination programming in 44 states and 17 countries. Click here to see a full listing of our 2016 Affiliate Directors. Our passionate Board of Trustees consists of 17 educators, industry experts and thought leaders who are passionate about STEAM education and preparing students for the 21st century workforce. Click here to see a full listing of our 2016 Board of Trustees. Destination Imagination, Inc. has 25 full-time staff located at our headquarters in Cherry Hill, NJ and working remotely around the U.S. who help develop and oversee Destination Imagination programs, events and administration. Click here to see a full listing of our 2016 Staff. “Thanks” is a small word with a powerful meaning. Our heartfelt thanks go to all the DI volunteers (nearly 40,000 of you!) for your tireless support and countless hours of work to make Destination Imagination happen for students around the world. Through the support of our partners and sponsors, Destination Imagination can continue to provide students with an invaluable education in 21st century learning and career readiness. This has been an amazing and exciting year for the Destination Imagination organization. Thanks to the efforts and support of our volunteers, Affiliates, sponsors and staff, we were able to meet and exceed the goals we had for this year. Click here to view our Financial Statements for the year. To download a PDF version of the 2016 Destination Imagination Annual Report, please click here.